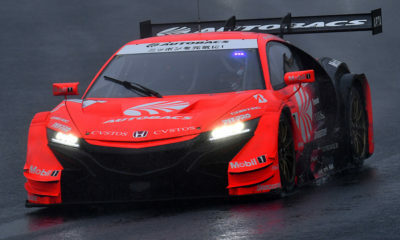 The Belgian driver has been signed by Honda to drive Epson Nakajima Racing’s NSX in the popular Japanese GT championship. He will co-drive the No. 32 car with Daisuke Nakajima. After taking LMP2 class victory in the 24 Hours of Le Mans last year, Baguette tested for Nakajima Racing in Super Formula, with the deal having been singed to go Super GT racing instead. “For a long time I wanted to do this but we had to find the right opportunity,” Baguette said. “Just before the last race of the FIA WEC in Bahrain, I had contact with Nakajima Racing. “I completed a four-day test that went really well. I had also tested the Super Formula car but their lineup were already finalized, so I bounced back to the GT500 program. While Super GT will be Baguette’s focus this year, he hasn’t ruled out making select starts in Europe, schedule permitting.